I have some exciting news to share. Recently I was contacted by the Editor-in-Chief of the Cincinnati Defender, an online newspaper. The Editor had read one of my book reviews. She invited me to contribute book reviews to her publication. The site receives over 80,000 unique visits a month. So, this is a great opportunity to spread the word about my bookstore. I accepted the invitation and now I am the Book Reviews Editor for the Cincinnati Defender. You can read my bi-weekly book reviews column at http://www.cincinnatidefender.com/. Facebook, Twitter, LinkedIn. The list goes on. We’ve all heard the buzz about “social media.” All the talk leads many to wonder, “How can I benefit from social media?” As an entrepreneur, I wondered the same. I was especially interested in how social media could help me grow my business. Odutoye does a great job explaining how to do just that. In order to really benefit from social media, you have to do more than just sign up for an account. This is a fact that most people realize. But what do you do next? Odutoye outlines the crucial next steps. 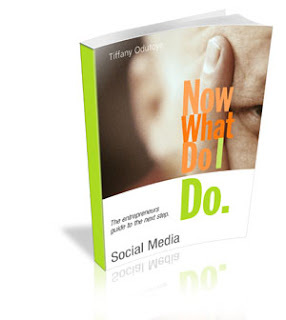 First, this book helps entrepreneurs to set goals they would like to achieve through social media. Next, it’s time to choose which social networking site would work best for them so that they can maximize their time. It also helps business owners to connect with their target audience. I found this book to be extremely helpful. It is concise, easy to read, and very informative. I especially appreciated the FAQs and the Appendix. Odutoye discusses some very common questions about social media such as, “What is social media?” This section provides a review of the topics discussed in the book. The Appendix contains very valuable tools that can be used for social media marketing. I would recommend that every business owner read this book. After I read it, I realized how important social media marketing is in business. Everyone should be using social media effectively and this book will certainly help to accomplish that goal. More information on this book can be found at www.talksocialnetworking.com.